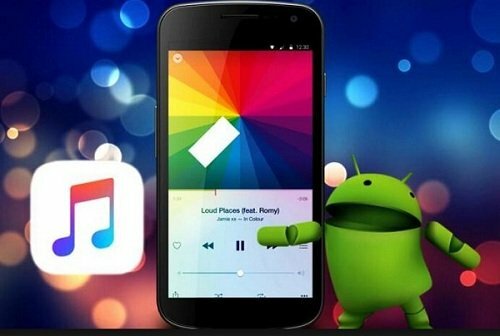 If you are an Apple Music for Android user, you can follow the next steps to save them directly. 1. Open Apple Music and tap the menu icon in the upper-left corner. 3. Scroll to the Downloads section, then tap Download Location and select where you want to store your music. 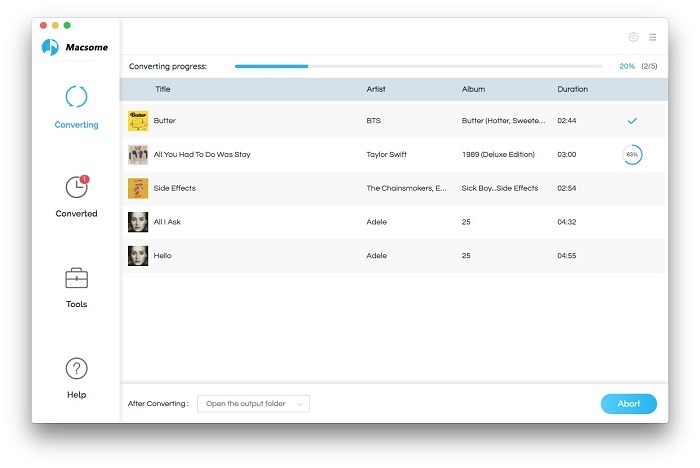 Choose Internal Storage to save downloaded songs to the internal storage build into your phone. Choose SD Card to save downloaded songs to the SD Card in your phone. Apple Music supports users downloading songs, albums or playlist to the devices, so that users can still enjoy them even they don't connect to the internet. If you want to listen to them offline, you need to Tap Download button to download them firstly. Sometimes you don't want to play them on your Apple Devices, are there still any ways to transfer or move them to other audio player or SD card or else you wish. You know that users can download music on up to 10 devices. These songs are accessible only during your Apple Music membership. Don't you want to remove the limitation and play them anywhere as you like, eg. you can transfer and move them, so you can play them on any computer or other audio player. 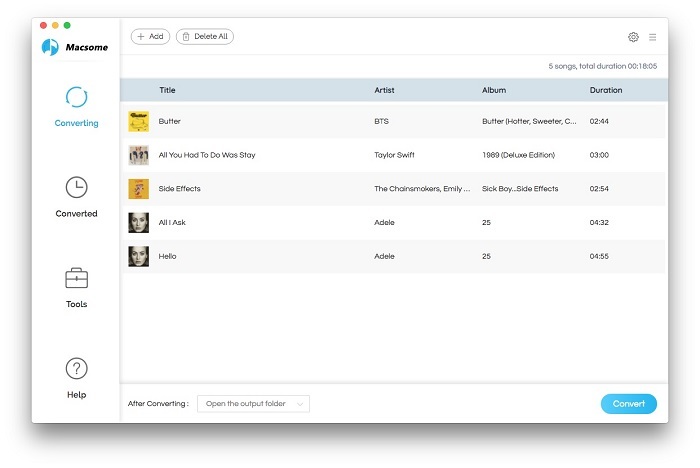 Why not convert the protected downloaded Apple Music files to MP3 or other popular audio formats, and you can freely transfer or move them with ease. 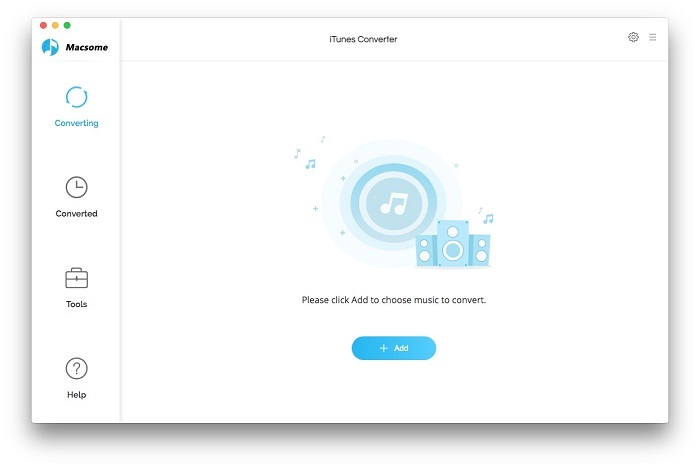 At first, free download the latest version of iTunes Converter for Mac OS X, install and run it. Please make sure that your downloaded Apple Music can work normally on your iTunes. Step 1. Click "+" to import the audio track files you want. And you will find all the music files are in the Music library including Apple Music files and iTunes Match music files. Step 2. Set the output format and output folder by clicking the set icon. If necessary, you can also reset the related audio parameters. Moreover, you can reset the conversion speed, the default one is 10X. If you want to get a high audio quality, you can choose a low conversion speed. Step 3. Now click the "CONVERT" button to start converting. Now connect your SD card to your computer with the built-in SD card reader. If there is none in your computer, you need one external SD card reader to help the computer to read. 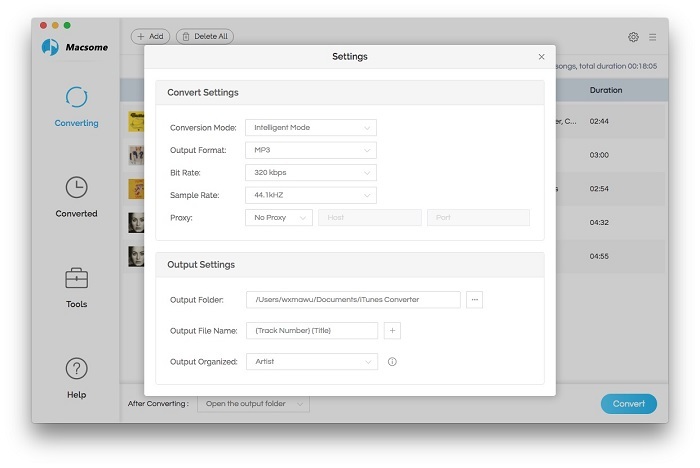 Then, find the converted music files on the computer, and select and drag-and-drop to your SD card. Finally, eject it, and then you can play them anywhere and anytime you like.